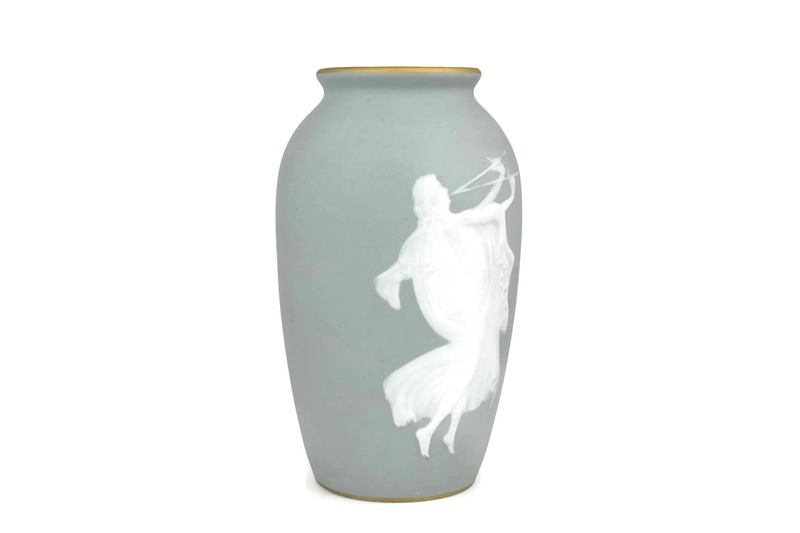 Camille Tharaud Celadon Blue Jasperware Vase with Euterpe Muse of Lyric Poetry. 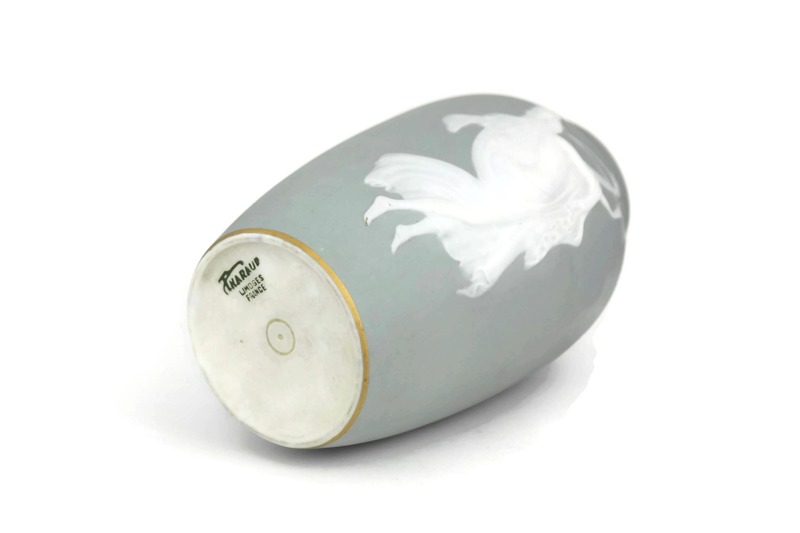 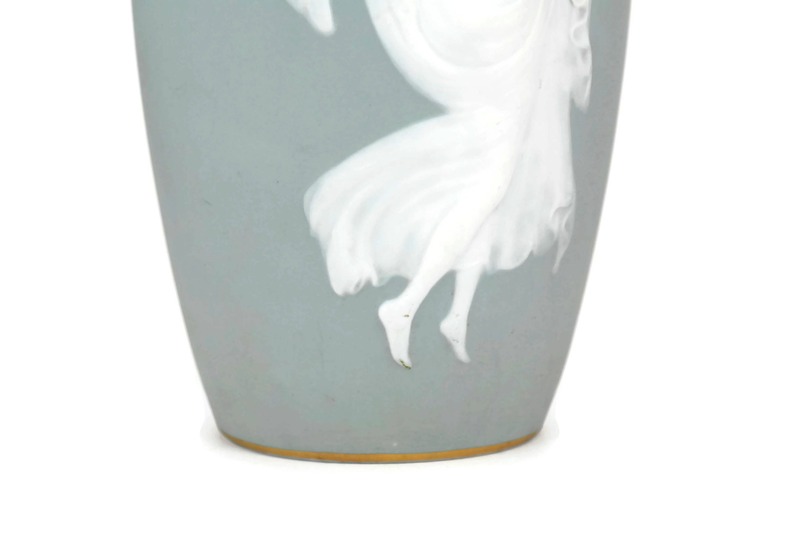 A beautiful antique French Limoges porcelain vase created by the acclaimed Camille Tharaud of Limoges. 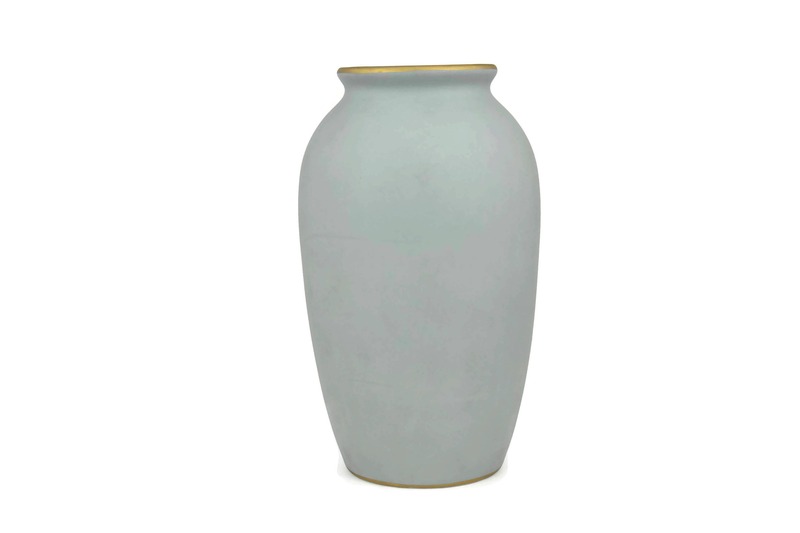 The body of the bisque porcelain vase is a lovely shade of pale celadon blue. 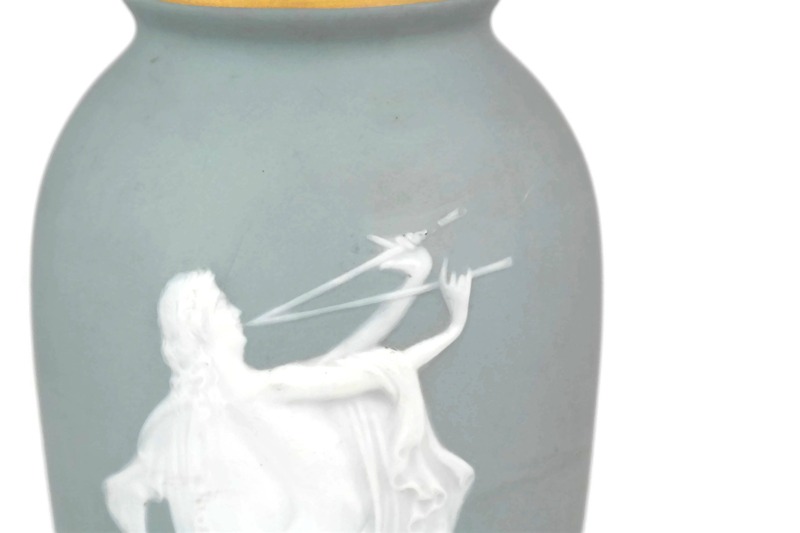 The front has been decorated with a figure of Euterpe, the classical muse of music and lyric poetry. 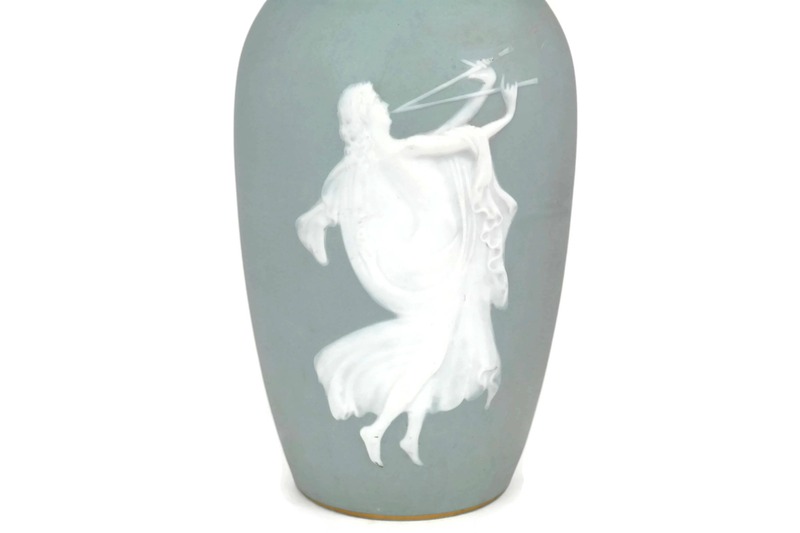 She is shown in flowing robes and playing the double flute. 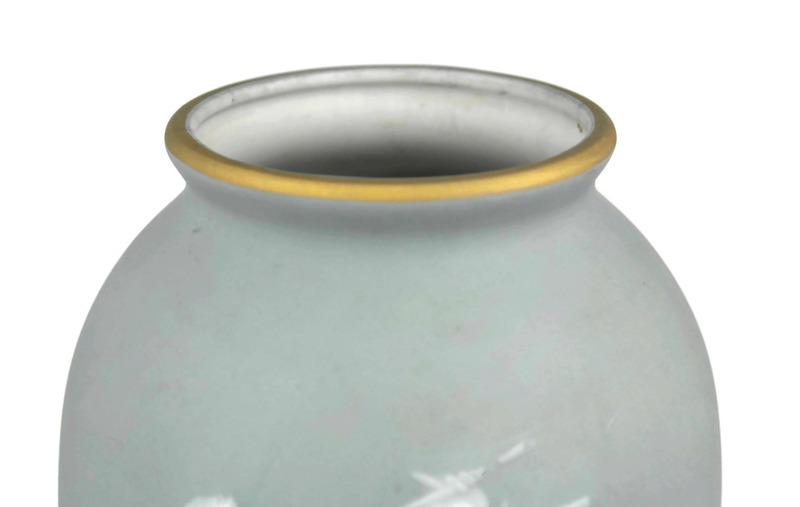 The rims of the vase have been decorated in gilt. 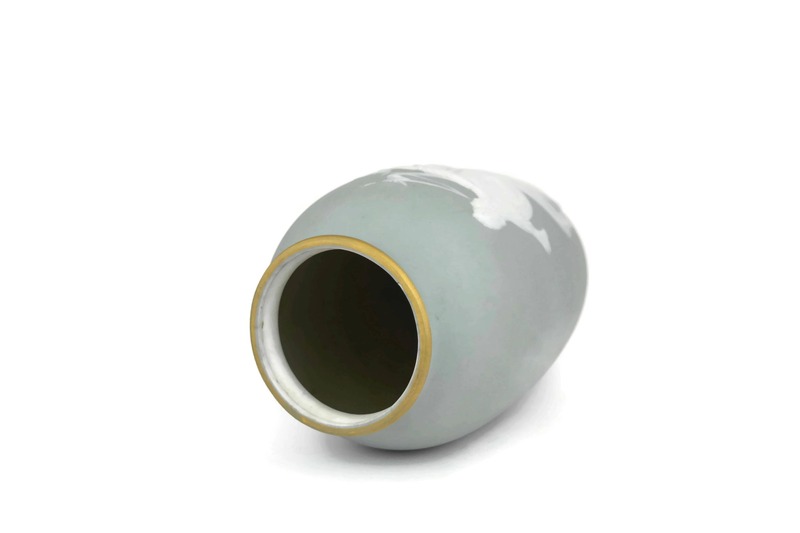 (20 cm x 10 cm). 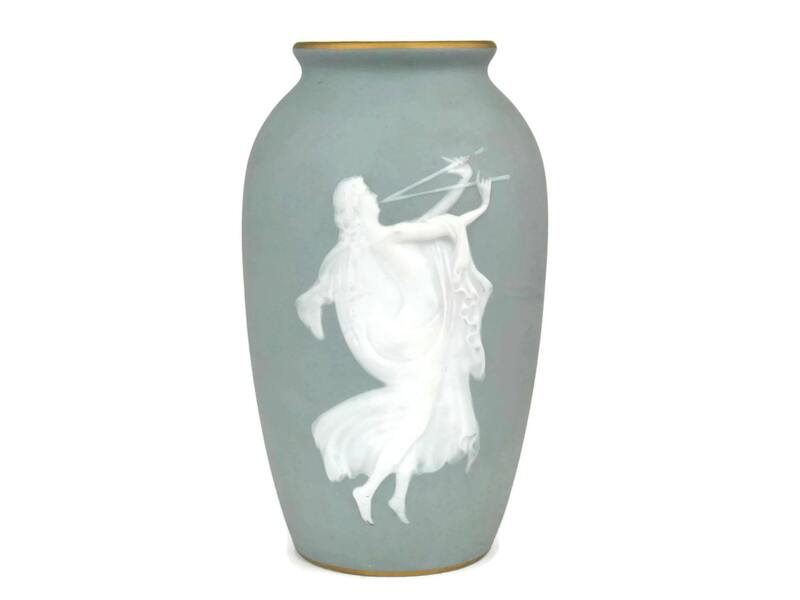 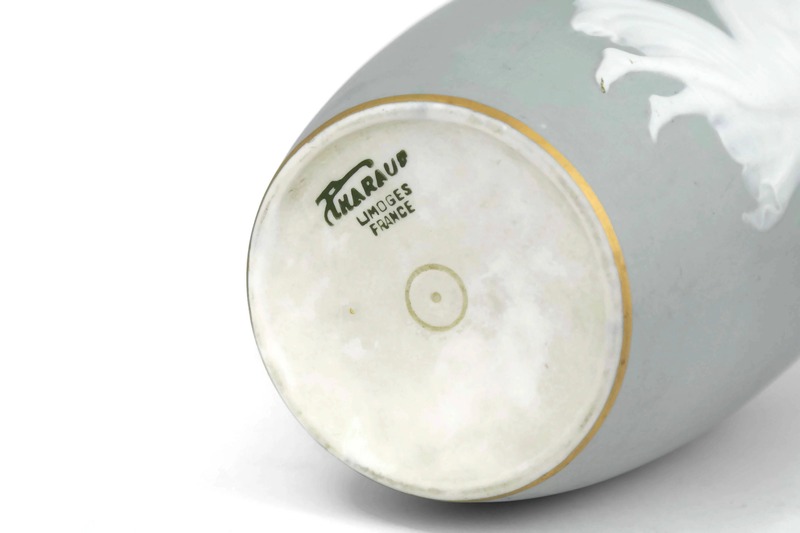 The Camille Tharaud blue porcelain vase is in very good condition with light wear including some surface marks and small flakes to the glaze at the end of one of her flutes.